Chelsea scrapped past Norwich City to make it to the next round of the FA Cup. The Blues will face Newcastle United in the 4th round on Sunday, January 28th. Willy Caballero saved the first Norwich City penalty by Nelson Oliveira in the shoot-out and that was enough to get them the much-needed win. 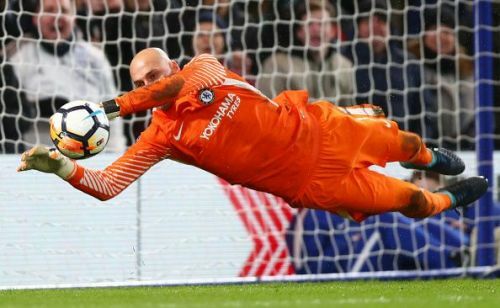 All 5 of Chelsea's penalty takes managed to find the net convincingly and thus Caballero not saving any of the other penalties did not bother them. Michy Batshuayi might have scored the goal for Chelsea finally last night but that should not make the board think that they needn't sign a new striker. The Belgian is simply not good enough right now to play up front for Chelsea and needs a season out on loan. He cannot hold up the ball for long and he cannot win headers either. Antonio Conte's men have been linked with a move for Andy Carroll but then signing a 29-year-old is not a long-term solution. They need to find an alternative and fast!